Civic leaders joined community groups of all ages for the annual march from the Memorial Hall to the service at St Mary's Church led by The Reverend Peter Barham, Vicar of Ponteland. 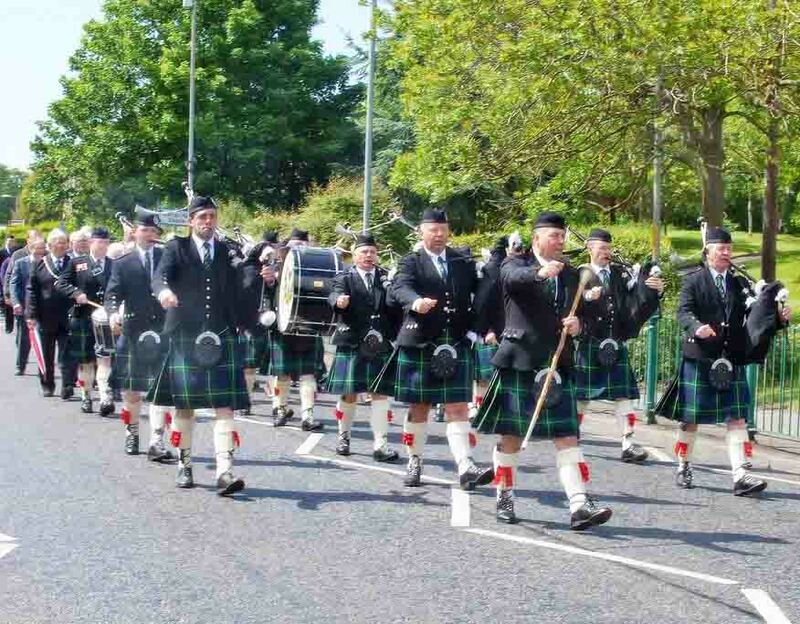 Pipers, the Boys Brigade and Girl Guides, local WIs and the village bowling club all took part, along with representatives of Northumbria Police, Kirkley Hall, Northumberland County Council and local churches. 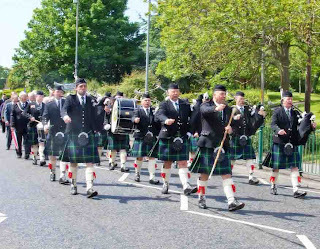 Morpeth Pipe Band led the civic party, which included Ponteland's new Mayor Peter Cowey, the Chairman of Northumberland County Council Councillor George Todd and Deputy Lord Lieutenant Caroline Pryer, in parades to and from the Memorial Hall, where guests enjoyed afternoon tea after the service. Town Mayor Peter Cowey said: "This is the third year of this now popular event in Ponteland's calendar and once again it was great to see people of all ages join together for the community gathering. I'd like to thank everyone involved in organising such a successful event." The next big community event run by Ponteland Town Council is Music in the Park, being held at Ponteland Park on Saturday July 2 from 6pm. Hosted by BBC weather presenter Paul Mooney, entertainment comes from Sonia Michelle, Dunston Silver Band and Ponteland Community Band. Entry is free but donations are encouraged for ex servicemen's charity Help For Heroes.